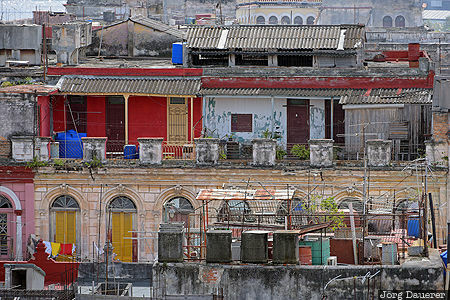 The typical colorful chaotic facades of Havana seen from the roof of Camera Oscur on old Havana (Havana Vieja). Havana (or La Habana) is the capital of Cuba. This photo was taken at around noon time on a sunny day in February of 2016. This photo was taken with a digital camera.